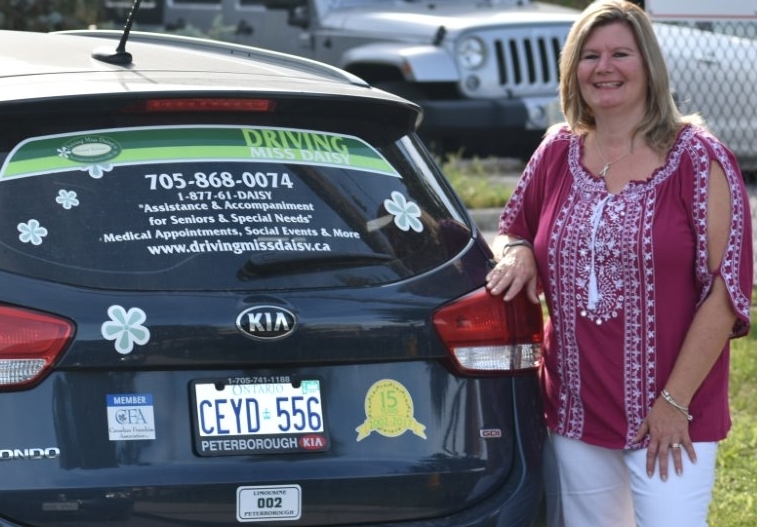 I recently purchased Peterborough and the City of Kawartha Lakes and I am excited to continue offering the top quality award winning service that our clients in Peterborough and area have come to expect from Driving Miss Daisy since 2009. I’ve been able to experience first-hand the special and unique relationships that we have with clients, family members and the health care community. It been said before but when you hire traditional transportation you hire a car that comes with a driver. When you hire DMD you hire a caregiver that comes with a car. I have a background in caregiving having worked as an Early Childhood Educator assistant. When dealing with my aging mother and in-laws it became apparent that there is a growing need for the services that DMD offers both to seniors and those with special needs. It’s hard to hand your loved ones over to a stranger, but we are not just a curb to curb transportation service. Each client has different needs beyond just a ride and we offer this peace of mind knowing that your loved one is being cared for. Whether it’s an appointment, a visit or some shopping we’re pleased to provide attentive and friendly assistance. We have four well-maintained cars that all carry accessible parking permits, use winter tires and are easily accessible for those with some mobility challenges. All Driving Miss Daisy vehicles can accommodate wheelchairs and walkers when the client is able to self-transfer. We are fully licensed with the City of Peterborough and are well insured both inside and outside the vehicle. We’re happy to come and introduce ourselves and our services with a free consultation at your convenience.